The most important thing Freddie Roach took away from Floyd Mayweather Jr.’s two-minute demolition of a small kickboxer is that Mayweather will participate in an official fight this year. Now that the undefeated five-division champion has torn through Tenshin Nasukawa, Roach is convinced Mayweather will face the winner of the upcoming Manny Pacquiao-Adrien Broner bout next. There would be some consumer resistance to a Mayweather-Pacquiao rematch, but industry insiders are certain a second bout between them remains by far the most lucrative event that can be made in the sport. 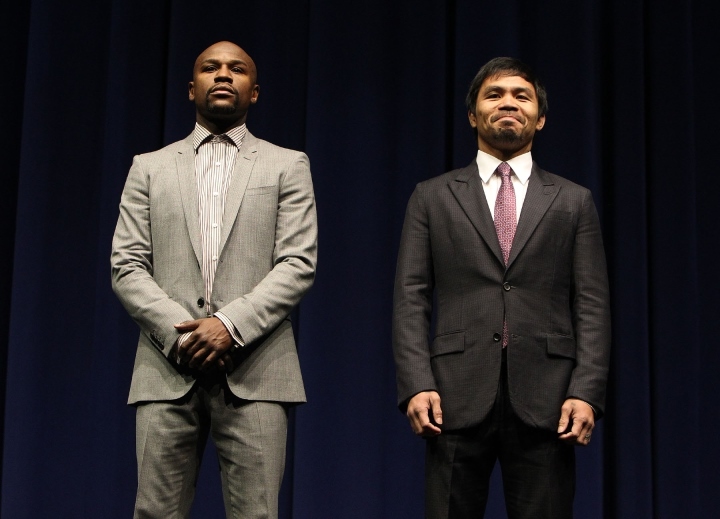 Their first fight generated more than $600 million in overall revenue, yet it was widely criticized for being a boring bout Pacquiao entered with a shoulder injury sustained during training camp. Mayweather-Broner also would be an easily promotable bout because of the complicated, love-hate relationship Mayweather maintains with a much younger fighter he once mentored. Roach doesn’t think Mayweather (50-0, 27 KOs), who’ll turn 42 next month, will ultimately walk away from a Pacquiao rematch if the 40-year-old Filipino icon looks too good against Broner on January 19 in Las Vegas. A rejuvenated Pacquiao dropped Argentina’s Lucas Matthysse three times and stopped Matthysse (39-5, 36 KOs, 1 NC) in the seventh round of their scheduled 12-rounder July 15 in Kuala Lumpur, Malaysia. Pacquiao won the WBA world welterweight championship from Matthysse as well. Pacquiao (60-7-2, 39 KOs) will defend that title when he boxes Broner (33-3-1, 24 KOs, 1 NC) at MGM Grand Garden Arena. Their scheduled 12-round, 147-pound championship match will headline a four-fight, pay-per-view telecast distributed by Showtime.